Well I must admit that although it is the end of April, and listening to the gentle hummmm of my furnace is a little disappointing ( I really thought the windows might be open by now), I did have a busy weekend playing in glorious spring flowers. Which always helps to lift my spirits. Here is a sample of one of the bouquets that went out this morning. 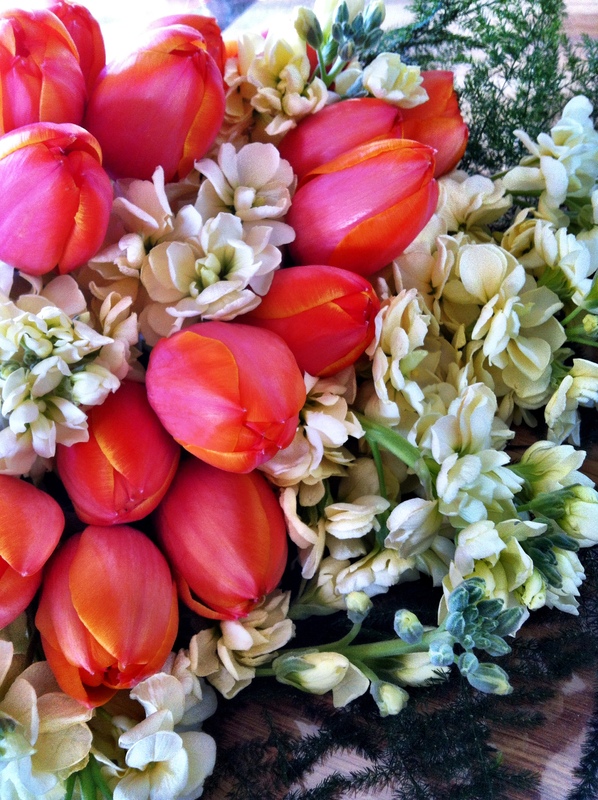 The vibrant orange tulips, soft asparagus fern, and creamy yellow double stock will start off your morning in the right way. Posted on April 28, 2014 by Rouge&Co.. 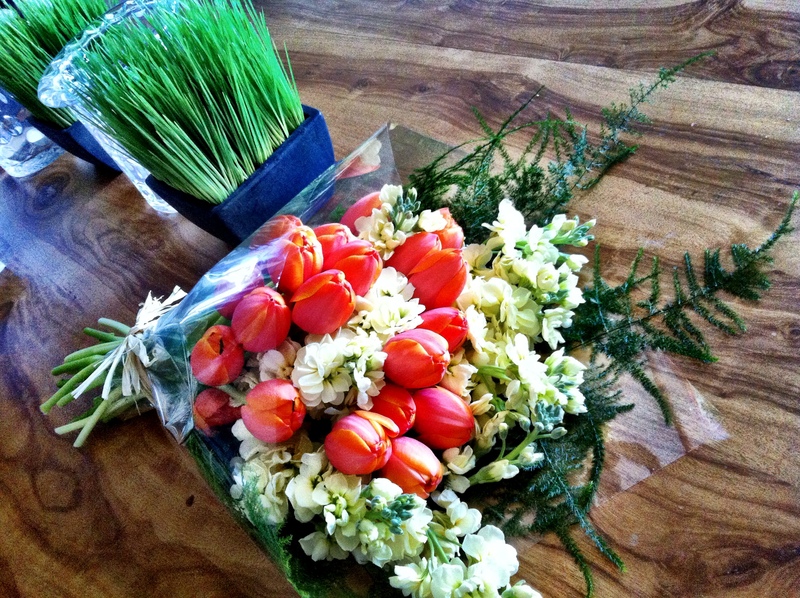 This entry was posted in Uncategorized and tagged bouquets, Flowers, Montreal, nature, tulips. Bookmark the permalink. Wow, this bouquet is SO beautiful!